DRIVER WANTED - Transnet Freight Ltd. Begin a successful career with Transnet Freight ltd. today! We offer great wages, benefits and much more to our drivers. 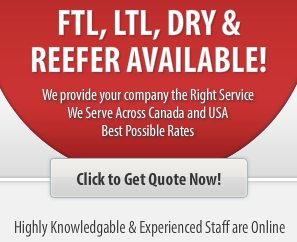 We are a reputed transportation services company in GTA and looking to hire Company drivers (AZ)/Owner Operators. We have state of the art terminal and a friendly dispatch team to help you round the clock. We run all the lanes from Canada to Continental USA. ☑ Plenty of loads available to cater your needs during the whole year. ☑ Yard to Yard work, separate City Fleet for Pickups & Deliveries at Base. We also hire and enable New License Holders! Send us your resume now!